Rosa Luxemburg was one of the most important democratic socialist figures in Europe. Alongside Karl Liebknecht, she was a prominent representative of internationalist and antimilitarist positions in Germany’s Social Democratic Party (SDP). 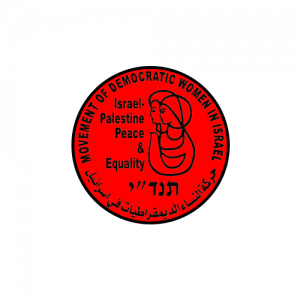 Tandi is a grassroots organization that was established in 1948 as a collaboration and integration of two movements: The Democratic Arab Women Movement (Al-Nahada Al-Na’asia) and The Progressive Jewish Women Movement. As a result of their mutual goals the two movements decided to join forces, and Tandi became one of the biggest women organizations in Israel, with hundreds of members struggling for the wellbeing of women and children as well as equality, social justice and peace in the region. Tandi’s vision is to create a just society, which will allow women and men, Palestinians and Jews, children and adults, to live side by side and flourish with a sense of safety and security. This vision is a reflection of Tandi’s political agenda and organizational structure, which focuses on equality between all people. As a grassroots organization, the programs and activities respond to the ever-changing needs of the communities they work in while relying mostly on volunteers. To establish lasting and just peace both in the region and worldwide, while focusing on true co-existence and equality between Israelis and Palestinians. To pursue equal rights for women in all aspects of life, mainly in political representation, in the work- force and in social leadership roles according to women’s needs, at all levels. To protect children’s rights and secure a bright and successful future for children of all nationalities. While the years of being a mass movement might be over as times have changed, Tandi is still the main actor when it comes to organizing demonstrations and rallies on a national level, drawing thousands of participants to demand justice and equality for women and to call for equality between Palestinians and Jews in Israel. Tandi also operates Women’s Centers across Israel in numerous Palestinian towns and villages as well as in communities with Jews and Arabs living side by side, such as Nazareth, Umm al-Fahm, Acre, Mghrar, Eilabun, Ramla, Kfar Yasif and Tarshiha. These centers offer a variety of programs for women, girls and children. Educational programs promoting peace for people of all ages. Empowerment programs for women in order to enable them to participate in local and national politics and lead the campaign for gender equality. Workshops for young women, in order to introduce them to their rights and responsibilities in a democratic society and to create a growing awareness among them concerning their social position and the discrimination they are facing. The movement was the first women’s organization to celebrate the 8th of March, the International Women’s Day, and every year it holds various activities, such as rallies and meetings in cities and towns throughout Israel on this occasion. Tandi also established the first community center in the Palestinian sector dealing with violence against women. Emphasizing the importance of education in early childhood, Tandi has been the pioneer in establishing nurseries and kindergartens in Palestinian cities, villages and neighborhoods. For example, the movement established nurseries in Nazareth, which developed into today’s childhood center. In addition, every year on the 1st of June, International Children’s Day, Tandi organizes activities for children and their families and distributes greeting cards and gifts for children.